Help us rebuild the Jewish community in Hackensack! 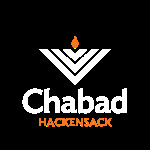 Chabad of Hackensack is 100% funded by the generous donations of people like you. Your donation will enable us to offer a wide array of programs, and to rebuild the Jewish community of Hackensack.